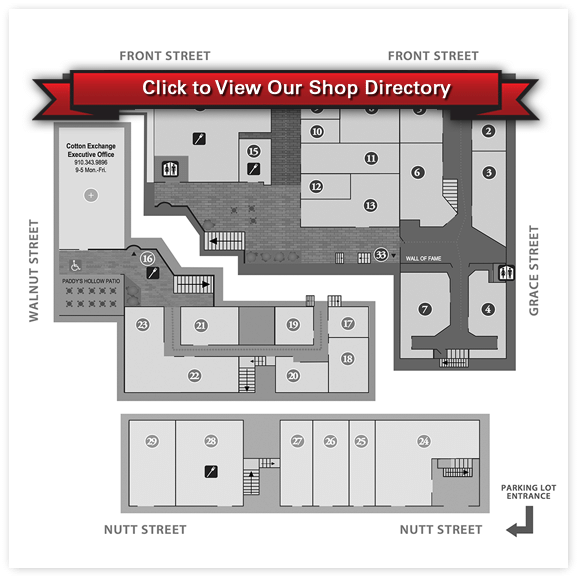 An Entire Block of Shopping and Dining! 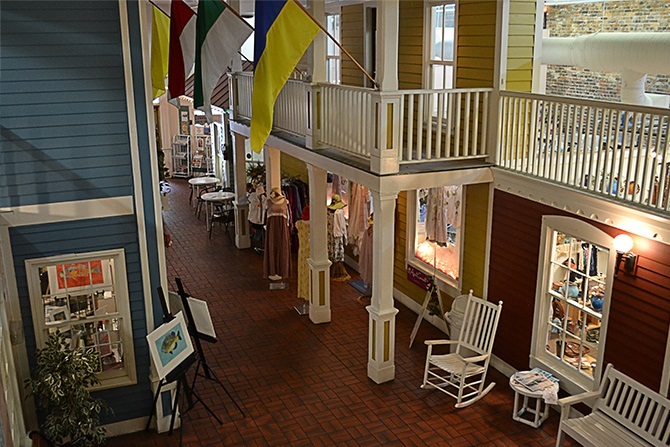 Wilmington, NC shopping isn’t defined by shopping malls or big box retailers. The highest concentration of unique boutique shops can be found at one place. 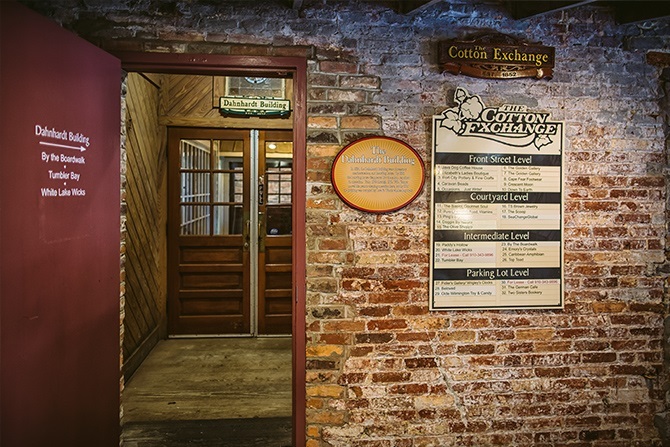 The Cotton Exchange. While you are shopping visit our restaurants. The Wilmington Walk of Fame is located on site honoring locals such as David Brinkley, Charlie Daniels, Althea Gibson, and Roman Gabriel among ten other celebrities to date who have attained national acclaim. History is abundantly displayed throughout the gracious courtyards and within the four distinct restaurants. 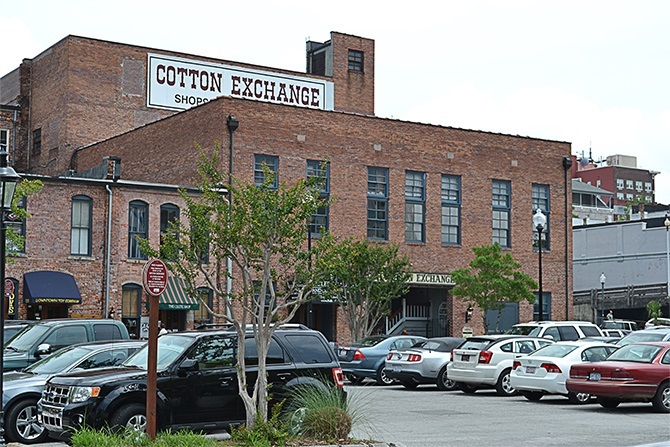 The Cotton Exchange shopping center in historic downtown offers its patrons free parking validation while shopping and dining. Parking is free while shopping and dining! Take your parking ticket with you and get validated from our merchants. 2 hours free when validated from shops/ 3 hours free when validated by restaurants.